Dear readers, previously we have published a tutorial on Hotel linen room and today we will write about more in detail on this topic. We will discuss how to supply linen and linen control procedure at hotel. Guestroom and F&B Linen represent a sizable amount in the Hotel’s Budget therefore, control and care in handling these items is of paramount importance. 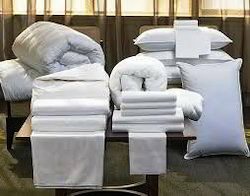 It is imperative that everyone involved in handling linens adheres to the standards, policies and procedures and guidelines established by your hotel. The established par stock per Pantry Linen Closet should be enough to last for a 24-hour Operation. Trolley Par should be sufficient to service seven rooms to be refilled as needed. Trolleys must be neatly arranged and stocked. The AM Asst. Housekeeper is responsible for making the daily linen requisition by 3.00 PM and sends it to the Linen Room for delivery in the evening by the Houseman. The Linen Room Supervisor will spot check to ensure that requisitions made are accurate, especially if total count of requisitions and laundry figure of total dirty linen washed vastly differs. (Minor discrepancies in count, either ways are possible). Distribution to the Floor Pantries must be based on requisitions made the same day. The Executive Housekeeper is to be advised if a certain item starts to run short (i.e. face towels, where loss can be very high). Soiled Bed sheets and Towels will be sent directly through the linen chute except mattress pads, blankets, bedspreads, shower curtains, bathrobes and slippers which will be brought down separately. Stained bed pads, blankets, bedspreads, bed sheets and other linens are to be brought down to the Laundry and the stains treated separately prior to regular processing. Inventories will be done every 3 months or as announced by the Accounting Department. If high losses of certain items are experienced, it is advisable to make inventories of major items like sheets and towels on a monthly basis. Inventory will be completed within one day. First to be counted are floor linen pantries and room attendants’ trolleys before room attendants start their duties. All Linen Chutes must be locked/sealed before the room attendants go to the guest floors. The chutes will remain closed and no dirty linen is to be thrown therein. The chutes can only be opened when all linens dropped into the soiled linen room in the Laundry have been removed, counted and processed; in other words, the soiled linen room is empty. Only then the Laundry Manager will advise Housekeeping that soiled linen can be dropped again through the linen chutes. It is understood that all soiled linens to be dropped have been counted. The room attendant counts the linens in each room whether clean or dirty prior to servicing the room. If a room is a DND and room cannot be inventoried, enter Par figures on the inventory sheet. 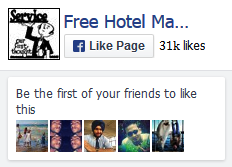 No more counting will be done in the evening after the turndown service. A day prior to inventory, all Pantries have to be filled with enough linens to last throughout the day and evening. The linen stored in the linen room and dirty linen in the Laundry will be counted at the same time. 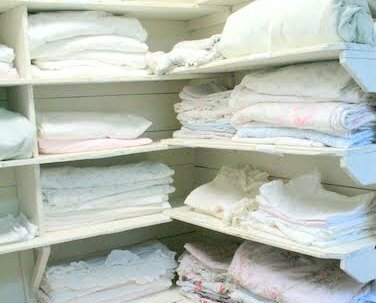 The linen stored in the General Store Room may be counted a day or two prior to inventory and no issuance from the General Store Room is allowed thereafter until the inventory has been completed. All figures must be combined into the Guestroom Linen Inventory Master Summary the following day. Should one or more items have significant variance, it is advisable to conduct a recount. Par Stock in the Hotel should be five (5) on the forecasted Occupancy Percentage for the year. Four (4) PAR will be in circulation and one (1) PAR in the Store Room ready and usable should occupancy rise. Par Stock for each outlet is to be set up together with the Director of F&B and a logbook opened per outlet. Exchange of dirty to clean is handled by the linen room on a strictly one on one basis and recorded in this record book. Both the Linen Supervisor/Linen Attendant and the staff of the outlet sign for the receipt of each, the clean and dirty. All linens (Napkins, tablecloths, etc.) should be in bundles of tens for easy counting. Should the outlet request for more linens due to a special function, this will have to be accomplished separately on an F&B Linen Requisition Form and the linen returned the next day or after the function. Should the return linen be in bad shape or items missing, the Director of F&B is to be advised. Treatment of the linens should be proper and should dirty linen arrived with stains (not through food) or damaged, this also has to be brought to the attention of the Director of F&B. Spot checks in the various outlets will be conducted by the Linen Supervisor/Asst. Housekeeper/Executive Housekeeper to ensure that linens are handled properly and PAR levels are maintained. A memorandum will be advised by the Accounting Department and announcing the date of the inventory and time, each outlet will be counted. A day prior to inventory taking, all outlets must return all their dirty linens and exchange them for clean ones. No issuance of clean linens will be entertained on the day of the inventory. The Linen/Uniform Supervisor/Cost Controller will do the counting in the outlet together with the Outlet Manager, using the F&B Linen Inventory by Outlet Form. All service stations and cupboards are to be checked in order not to miss anything. Dirty Linen will be counted by the Laundry or Linen Supervisor if not yet given to the Laundry for washing. Linens in the Linen Room and Storeroom are to be counted at the same time, using the F&B Linen Inventory by Outlet – Linen Room/Storeroom. Combine all figures into the F&B Linen Inventory Master Summary by Outlet. Loss/Condemn figures will be discussed with the Director of F&B. After inventory taking, all Par stocks per outlet will be adjusted accordingly to the established Par level. Par stock for the pool and health Club towels is to be set up together with the Sports and Recreation Manager and the logbooks will be opened for them. In case of unforeseen circumstances where additional towels have to be taken from the store into circulation, requisition for more pool towels will have to be accomplished separately on a Towel Requisition Form. The additional towels will be returned on the next day to the store. Exchange of dirty to clean is handled by the Linen Room on a strictly one on one basis and recorded in the logbooks. All exchanges will only take place during the Linen room opening hours. Both the Linen Supervisor, Linen Attendant and the Pool Attendants sign for the receipt/exchange of each, the clean and dirty. The frequency will rely on the expected peak periods. Pool and Health Club towels are strictly for Hotel guest use. Spot check will be conducted by the Linen Supervisor/Asst. Housekeeper/Executive Housekeeper to ensure the towels are handled properly and PAR level are maintained. B) Pool towels will be of a different color from guest room towels. This is to minimize incidents of guest bringing the pool towels into their rooms and facilitates recovery of pool towels in such events. A memorandum will be advised by the Accounting Department announcing the date of the inventory and time. A day prior of inventory taking all towels must be returned and exchanged them for clean ones. No issuance of clean towels will be entertained on the day of the inventory. The Linen Supervisor and Cost Controller will do the counting in the pool side together with the Sports and Recreation Manager. Dirty towels will be counted by the Laundry or Linen Supervisor if not yet given to the Laundry for washing. Towels in the Linen Room and Storeroom are to be counted at the same time. Combine all figures into the Inventory Master Summary. Loss/Condemn figures will be discussed with the Sport and Recreational Manager. After inventory taking, Par Stocks will be adjusted accordingly to the established Par level. Master Summaries will be forwarded with all supporting papers to the Accounting Department. Inventories will be taken separately a day each. Sufficient staff will be on duty to ensure smooth and accurate count. Whenever one or more items are fluctuating strongly from one inventory to the other, monthly inventories of such items will be taken to find out the cause. Towels should be available for employee showers and should be issued at the Linen Room/Uniform counter. To ensure the return of the towel, employee ID cards should be given to the Linen Room Attendant when the towels is issued and returned when the towel is brought back. One-for-one exchange is not acceptable.